The Corporate Events Team at HSBC asked us if we could deliver a Michelin Star quality lunch in new data centre, location TOP SECRET. The guest list was VVIP with board level members arriving from the USA. Everything, from the initial arrival through to the last cup of coffee, had to meet their expectations and be fault free. There was a complication too – the room they wanted to use was upstairs and they couldn’t see anywhere obvious to cook from so a detailed site meeting was needed to work out the logistics and ensure everything ran like clockwork. Dine were on site the previous day to set-up three kitchens on two separate floors and all the tables for lunch. Different courses would come from different rooms to get around the space and power issues. On the big day, Dine installed a large floral display in the lobby and in a connecting corridor to make the space more vibrant. 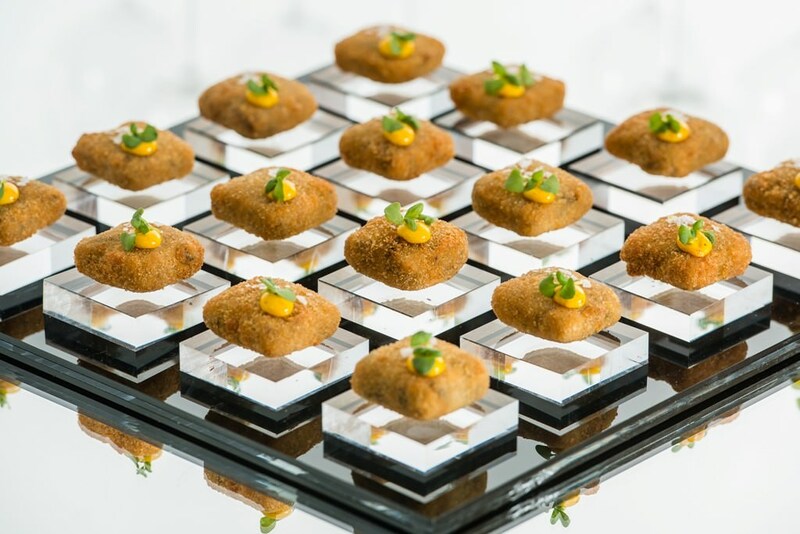 We also set up a fourth kitchen near the lobby in order to prepare canapés for the reception. On arrival, the Dine Team took bags and coats before guiding guests into the next room for drinks. Before long they were upstairs and thanks to a lot of hard work (and running!) 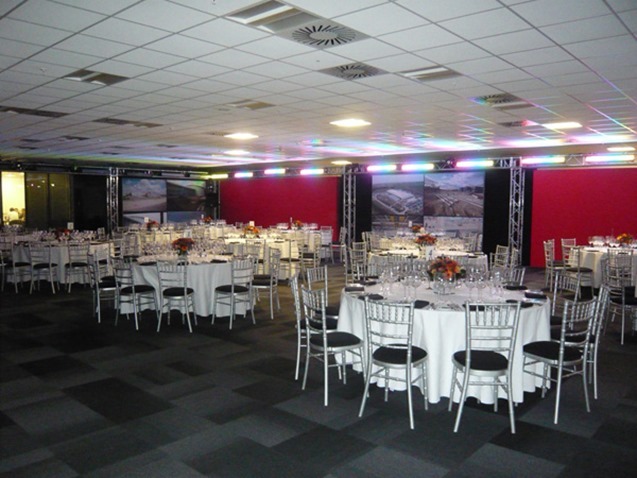 behind the scenes, the lunch was delivered without a hitch and the room looked fantastic (for a datacentre!) We’re now sworn to secrecy and to never tell where the event took place..